Amiri, E., Farshadfar, E., Jowkar, M. (2013). AMMI Analysis of Wheat Substitution Lines for Detecting Genes Controlling Adaptability. International Journal of Advanced Biological and Biomedical Research, 1(9), 1112-1123. Elham Amiri; Ezatollah Farshadfar; Mohammad Mahdi Jowkar. "AMMI Analysis of Wheat Substitution Lines for Detecting Genes Controlling Adaptability". 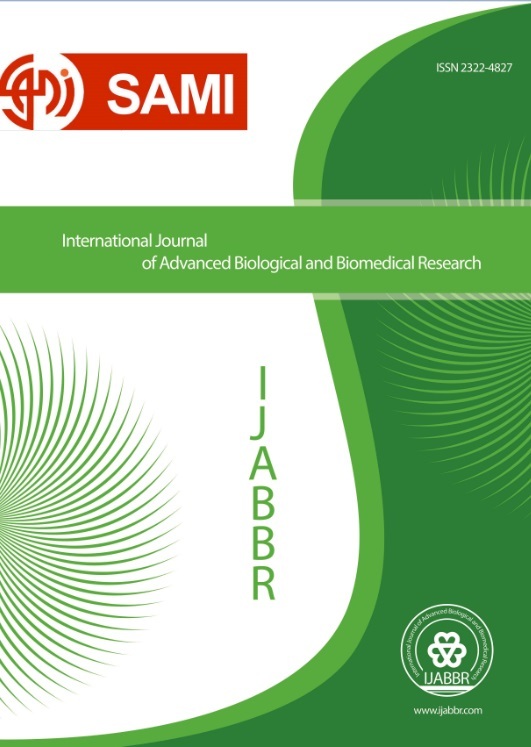 International Journal of Advanced Biological and Biomedical Research, 1, 9, 2013, 1112-1123. Amiri, E., Farshadfar, E., Jowkar, M. (2013). 'AMMI Analysis of Wheat Substitution Lines for Detecting Genes Controlling Adaptability', International Journal of Advanced Biological and Biomedical Research, 1(9), pp. 1112-1123. Amiri, E., Farshadfar, E., Jowkar, M. AMMI Analysis of Wheat Substitution Lines for Detecting Genes Controlling Adaptability. International Journal of Advanced Biological and Biomedical Research, 2013; 1(9): 1112-1123.